I’m passionate about coffee, so I was pleased to find this gable stone during a walk around an old Amsterdam neighborhood. 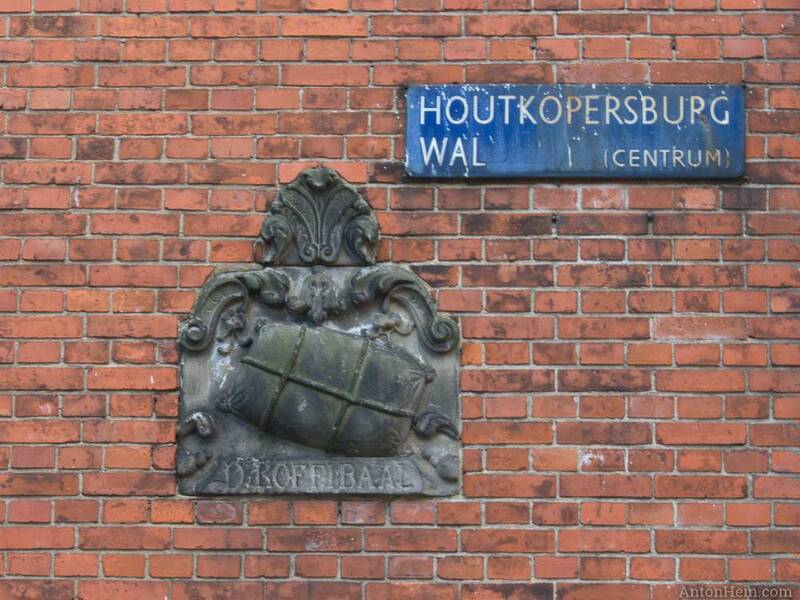 Note that while the gable stone depicts a bale of coffee it is located across from the Houtkopersbrug — wood buyer’s bridge. Many gable stones in Amsterdam are not found at their original locations. This one is said to have originally been part of a building at Vijzelstraat 16, built in 1727.